After several years of working at a career that wasn't a passion, Bobbie found a way to add adventure to her life. She bought a motorcycle and learned to fly. 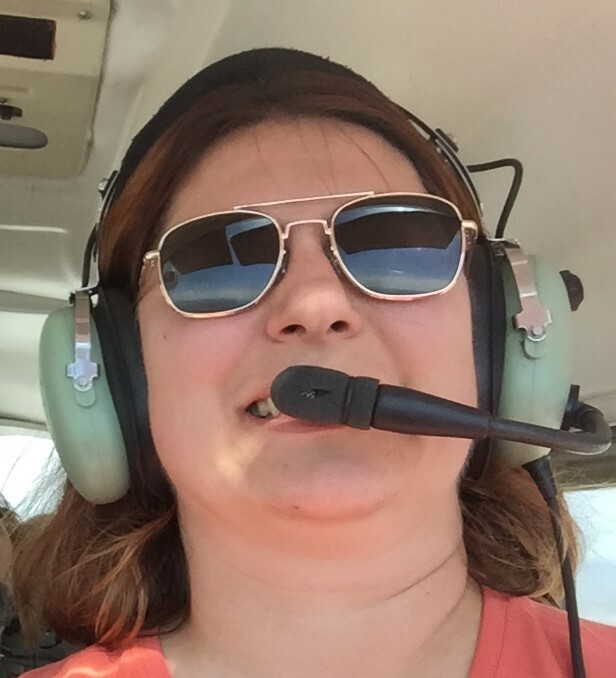 Bobbie currently has a Private Pilot License and is working towards ultimately becoming a flight instructor. Read her story here. THIS SITE IS FOR INFORMATIONAL AND ENTERTAINMENT PURPOSES ONLY. The views and opinions expressed on this site are mine. They do not come with any professional advice implied. I am not a flight instructor, veterinarian, lawyer or financial advisor. Seek help from the professionals before making any changes to your current established routines. Some of the links on this website are affiliate links. This means that if you click on a link and purchase a product I may receive some compensation. This does not change the price for you, but helps to keep this site running.